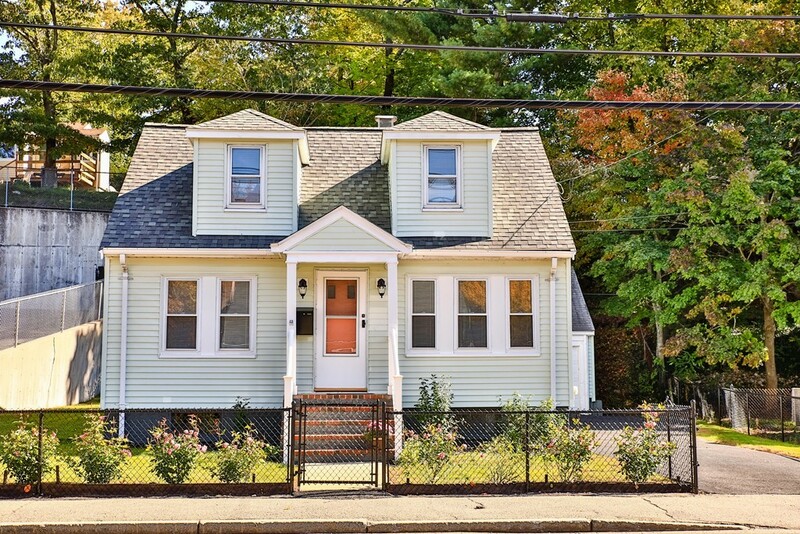 Tired of paying rent?Looking for starter home w/no extra work?Looking to downsize?Looking for a home w/ A garage and plenty of parking?Looking in Dedham but closer to Boston? If your answer is YES than You're a winner if you buy this 5R, 3 BR, 2full baths w/1 car garage located in the Riverdale. Extremely move-in condition. Nothing to be done!1st floor offers a living room with hardwood floors, kitchen recently updated with solid counters, white appliances and dinning area. There is an enlosed porch off the kitchen with no heat, but new carpets potential to increase the living space.1st floor bedroom w/full bath and closet creates possibility for even a retired individual/buyer to live in this house. 2 extra bedrooms and 1 full bath in 2nd floor.Unfinished basement for extra stotrage w/huge potential.Freshly painted, refinished hardwood flors, updated roof, systems, double windows and more. Close to Dedham Center, Legacy Place,VA Hospital, quick acess to 95N&S and DT Boston. Terms Contract for Deed Year Built Desc.